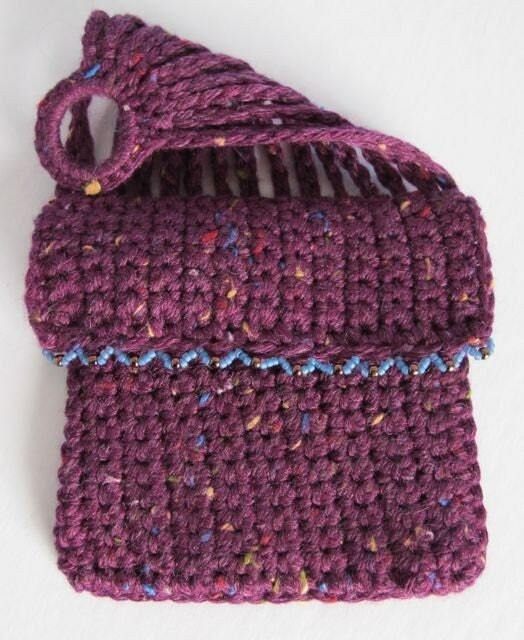 This charming One Sided Miser's Purse Pattern was inspired by a vintage pattern in The Art of Crocheting by the Butterick Publishing Co. first published in September of 1895. 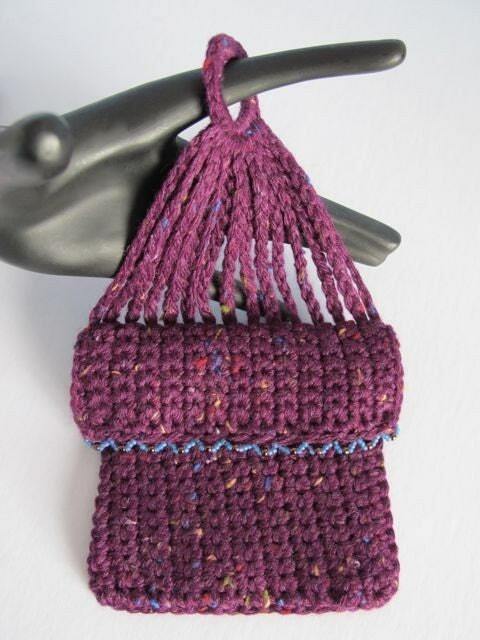 I have fallen in love with Miser's Purses and have written this design using yarn and hook sizes that are widely accessible today while maintaining the integrity of the original concept. 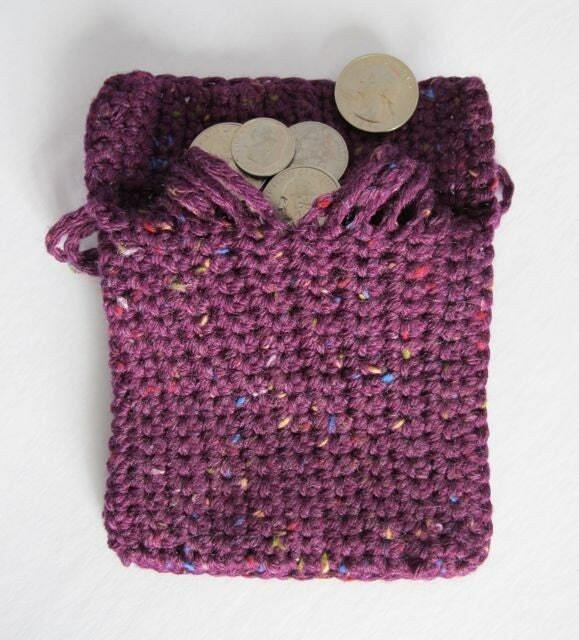 The Miser's Purse pictured here was made using Tweed Cascade 220 color #7610, size 11/0 and 10/0 seed beads and a US size G(6) or 4.00mm crochet hook. Each pocket measures 4"x 4" and 7.75" from pocket to ring. I've included plenty of pictures to make following this pattern easy. This purchase is for the 1895 Miser's Purse pattern only. 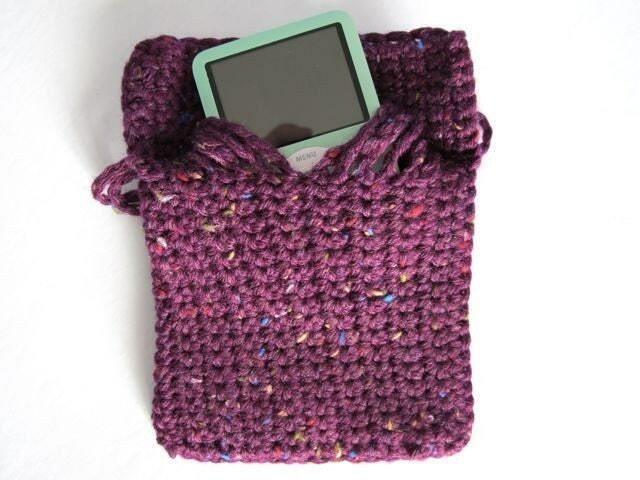 It does not come with the purse, iPod or change pictured here. I hope you enjoy making this One Sided Miser's Purse. 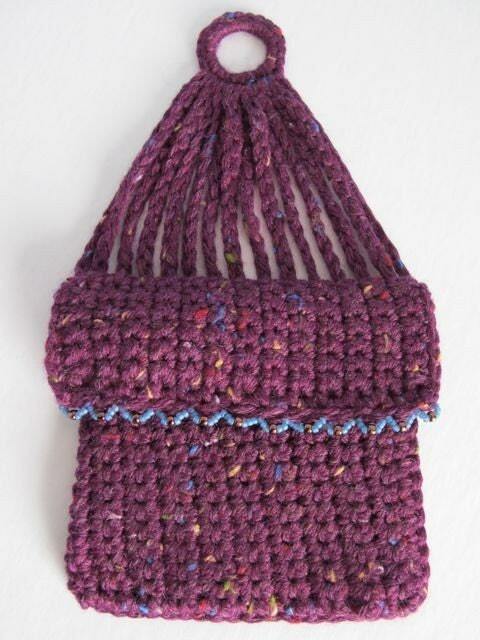 Miser bags were popular in the 19th century and were used to carry money by both men and women. The name "miser" comes from the design in that the pockets are somewhat concealed and not as quickly accessed. There are many designs from extremely ornate beaded bags to simple little cotton ones. Men would carry them in their pockets whereas women were more likely to carry them folded over a belt or in their hands as a dainty accessory.